Everyone's favorite royal is getting some holy water splashed on his head, and those in attendance to see the infant doused with what has proven to be some very contaminated liquid will be a who's who of European society. After all, Prince George's christening doesn't happen everyday. So far, the guest list has been kept pretty hush-hush — Prince William and Kate Middleton are a pretty low-key couple — but People reports that Prince Harry's girlfriend Cressida Bonas will not be invited. 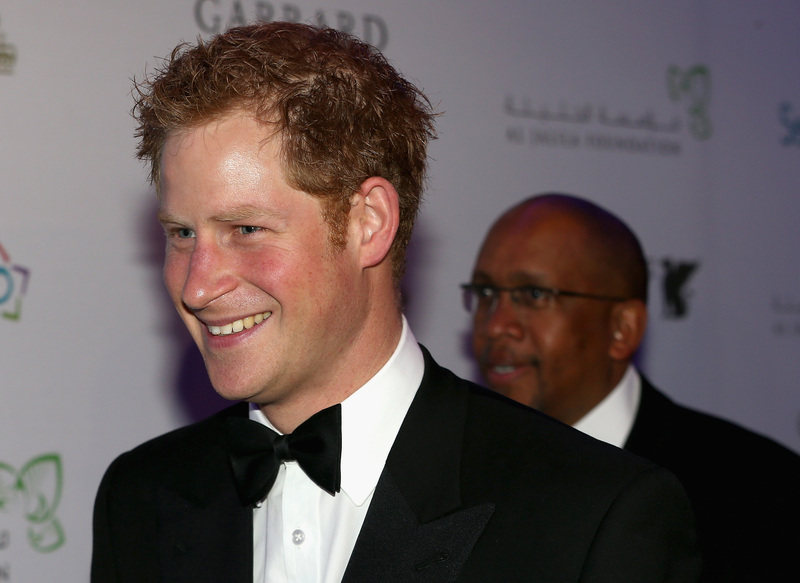 Their source says that Bonas won't be going as Harry's date because it would put "unwanted pressure on the couple" — evidently, if you bring your girlfriend to your nephew's christening, you have to get engaged, or else — but I think we all know that that's just code for the Queen hates her. That, or the Duke and Duchess of Cambridge don't want to make a spectacle out of the damn thing. Reportedly, it will only be the two of them, their immediate families, their son, and those who have been chosen to be his godparents. The rumors surrounding who has been chosen to look after Prince George in case something was to ever happen to Kate and Wills have been all over the place, but suffice it to say, anyone who gets the honor should be thrilled. Despite reports from the weekend that said Bonas was considering attending but wasn't sure if she would or not because "she's shy," the latest news reveals she wasn't even invited to begin with. Harry will have to attend this event solo... or with us. Because we're free. "Have fascinator, will travel" is our middle name.